Twisted Plastic - Events Gallery - Echo Base Toys Barbecue April 2009 - The Good Duck M998 HMMWV - Here is another shot of the Humvee prototype. It is an armored slant-back which Good Duck hopes to turn into a production vehicle someday. 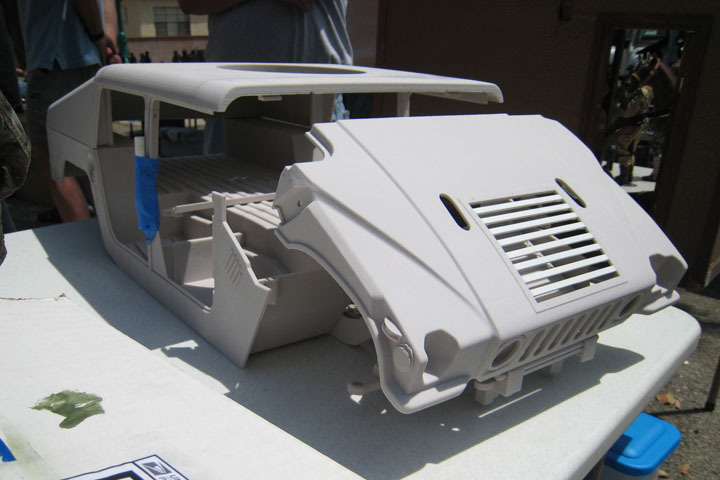 Here is another shot of the Humvee prototype. It is an armored slant-back which Good Duck hopes to turn into a production vehicle someday.